Located just 1. 5 kms outside of Salento, La Serrana is the perfect place to come and enjoy everything that this beautiful region has to offer. 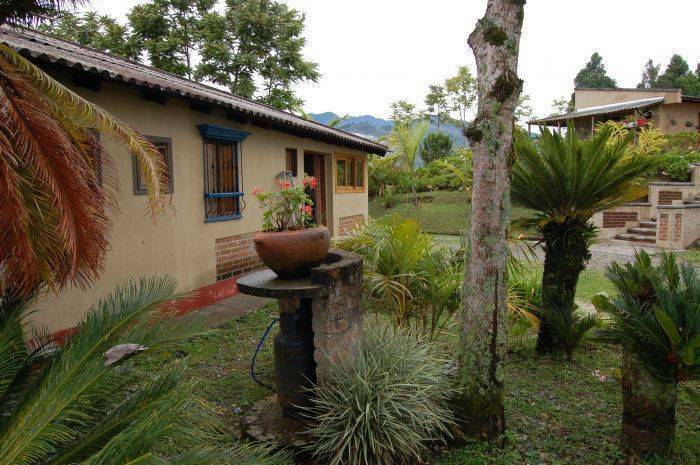 La Serrana is a 60 year old farm house located on 120 hectare dairy farm. There are six rooms and 7 1/2 bathrooms, including a full bathroom in every bedroom. We have a male, female and coed dorms. One private has room for four with a double bed and a bunk bed. . Our King suite is great for friends or families. We have an English library with quality titles and a movie projector with films to watch. The cows are milked every at 4:30. Guests are welcome to join in on the process. Fresh milk is for sale if you don't want to wake up. There is a spacious communal kitchen for guests and breakfast is included daily. The house is big and there is tons of property so there is plenty of space to get privacy. 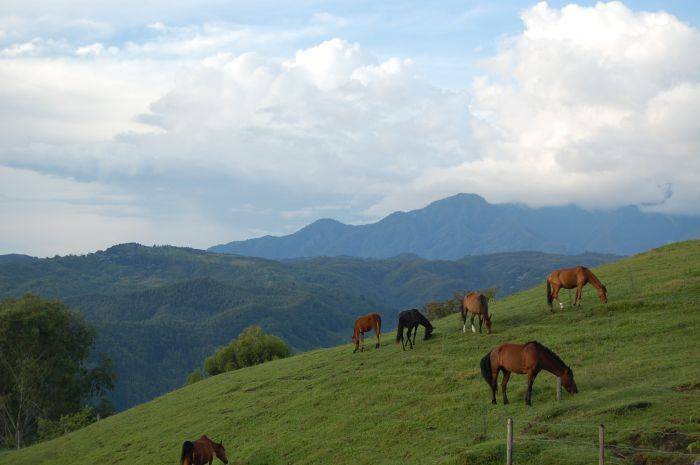 From here we can organize horseback riding, fishing, rafting, paragliding, Jeeps to Valle de Cocora and tours into the mountains, Los Nevados. Call us to arrange a pick up or drop of anywhere in the area. Our tuk tuk service charges 4. 000 to town for up to 3 people. Or chose to walk 15 min and enjoy the nature. We are a backpackers resort. 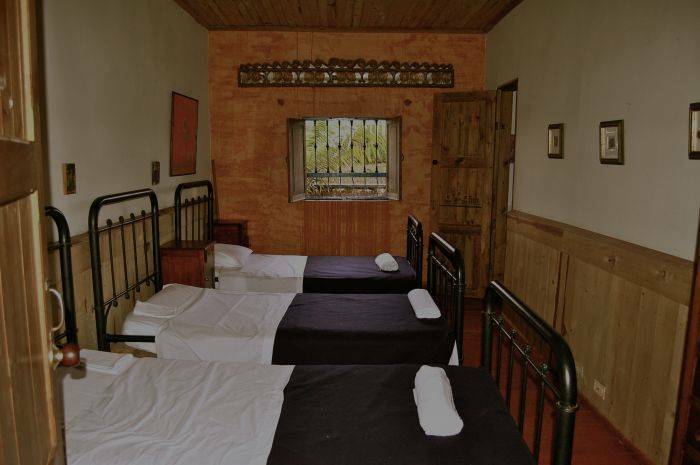 Located just outside of town, our guests can enjoy the best of both worlds-the peace and quiet on the farm or the historic town of Salento. We have movies, english and spanish library, magazines, games and more. We can also arrange mountain bike tours, horseback riding, coffee farm tours and other outdoor activities. 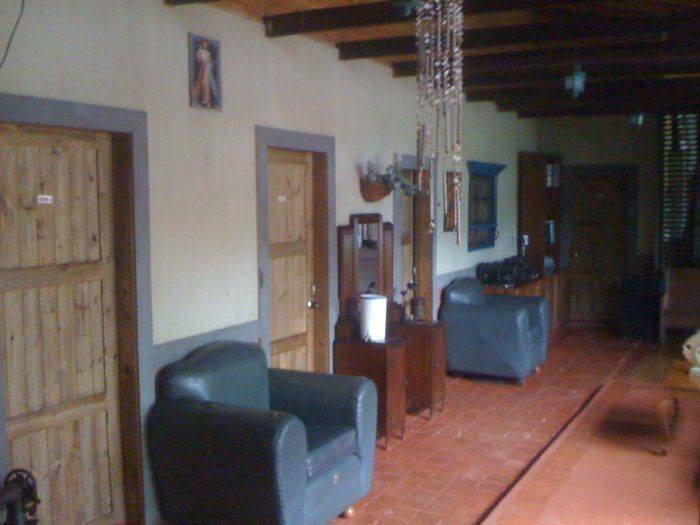 La Serrana is located on a 120 Hectare dairy farm. We are surrounded by green mountains, valleys and rivers. We are in the heart of the coffee region in Colombia. 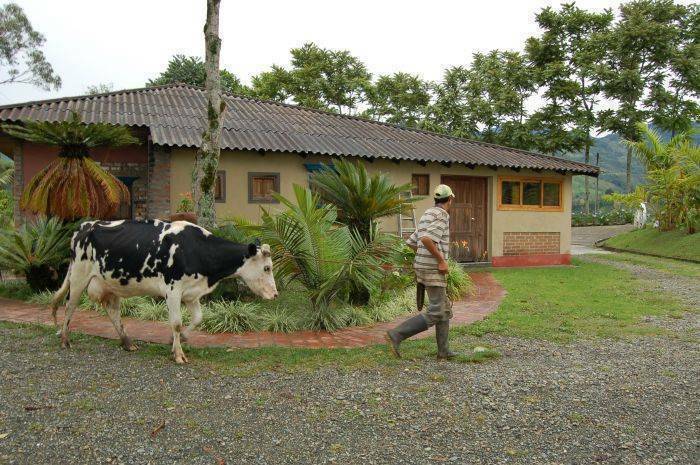 Our guests are welcome to milk the cows with our farmers or use our organic vegetable garden. 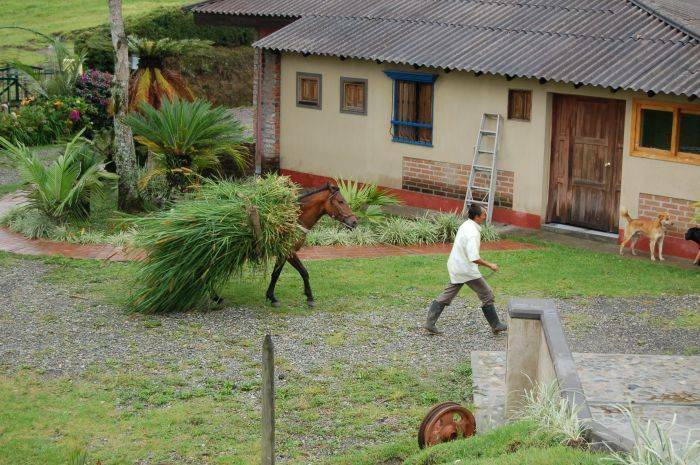 Salento is a 30 minute ride to the Valley of Cocora which is home to the famous wax palms. Getting to our property is easy. When you arrive in Salento, you can call us for a ride to the property. If we are not available to pick you up, we will pay for your transport in the local tuk tuk. You can also enjoy the walk, it is about a 15 minute walk from the station. Just walk over the pedestrian bridge and past the cemetery, we are 1. 2 kms from the cemetery. The path is lit at night and there are signs.